There could be some drivers left over on your system due to hardware changes or previous driver updates. After a few time the size of those invalid drivers will grow bigger and bigger that can slow down your system performance significantly. 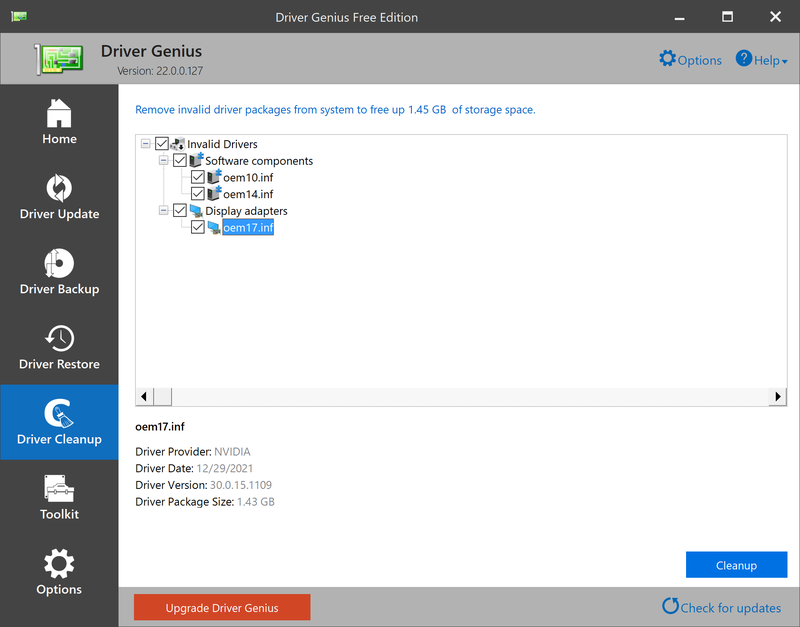 Driver Genius can quickly find and uninstall these useless drivers to free up more system resource to keep your system running smoothly. 1> Click 'Driver Cleanup' icon, the program will search for all invalid drivers in your computer. 2> Select the invalid drivers and click 'next' to cleanup them.